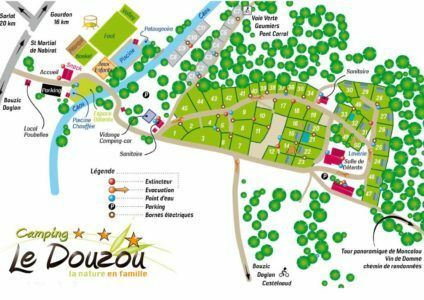 Le Douzou, offers accommodation on a daily basis from 1st April to 25th September in order to help you discover the numerous paths and tracks leaving directly from the camp site. You also have an area to wash and clean your bikes under shelter. We are also have contacts if you wish to rent out bikes locally. Obviously we also welcome ‘real’ campers with space for tents, camping cars and caravans in our 2.5Ha landscaped property. On site there is room for relaxation as well as the pool, football, basketball and volleyball. We are happy to welcome larger pre-booked groups, according to availability and the time of year. You’ll very soon have the ‘Just Douzou It’ mentality. 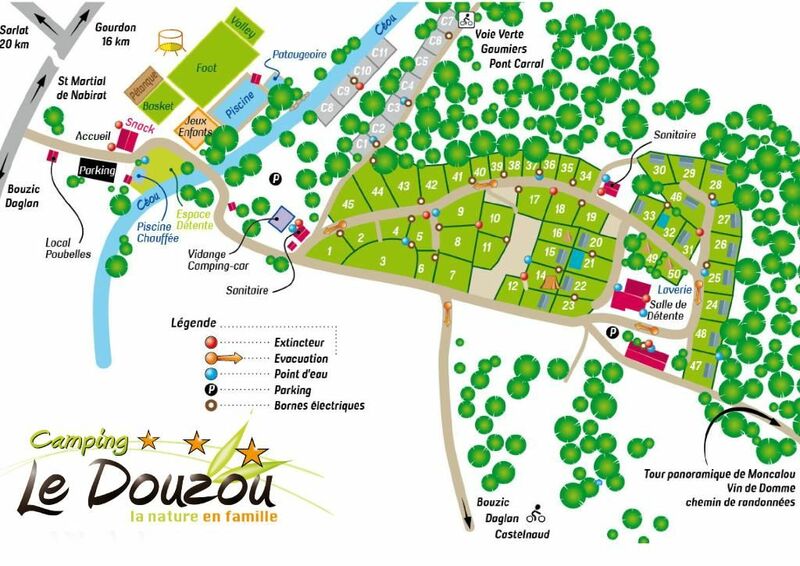 Le Douzou, also proposes the rental of modern, well equipped mobile homes at reduced rates for off-season holidays and short /weekend breaks during May. June and September. Note, reduced rental rates do not mean a recdued service. Fresh bread every morning, heated pool, games area, football, games room all still available. It is well placed strategically to visit the major tourist sights of the Perigord Noir and the Lot. Nearby there are the castles of Castelnaud and Beynac, the gardens of Marqueyssac, la Rocque Gageac, Domme, Sarlat and many others. Our new Canadian lodge tents for a real ‘Glamping’ experience available from €36/night or €200/week. Couples special rate of €180 a week, in a fully equipped 2 bedroom mobile home. Family special of €200 a week, in a fully equipped 2 bedroom mobile home. Three bedroom mobile home, large area 32m2 with 17m2 terrace. Kitchen equipped with a central island, lounge are with coffee table, large shower, hair dryer, large fridge, microwave and TV. Comfort guarenteed. ‘Welcome Stop’, especially for camping cars at €8 for the first night until 5 july and reduced prices out of season.